John Ruskin, one of the most prolific of nineteenth-century authors, first made a name as a writer on art with Modern Painters. His study of art and architecture in Britain and Europe led him to a consideration of the conditions of the people who lived in the same world as his art. His interests broadened to embrace social and political economy, and ideas which he propounded in such books as Unto This Last have had a profound effect on life today. William Morris, Bernard Shaw and many othe rearly socialists practised what Ruskin had preached. His Utopian Guild of St. George sought to establish a community where life was fair and the Companions found happiness and satisfaction through the work of their hands. Meanwhile in art he championed J.M.W. Turner, introduced the English to Tintoretto and other early Italian artists and helped the Pre-Raphaelites on their way. The effects of his teaching can be see today in green belts, town planning, smokeless zones, the Rent Restrictions Act and the National Trust. 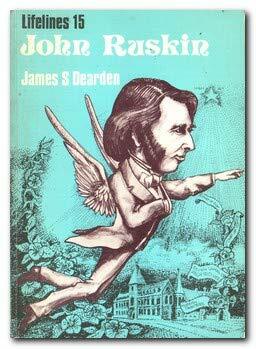 Ruskin was truly one of the prophets on the nineteeth century. James S. Dearden has written or edited a substantial number of books and articles about Ruskin, including a detailed hisotry of the collecdtion, Ruskin, Bembridge and Brantwood, and John Ruskin: A Life in Pictures, a comprehensive study of the portraits of Ruskin. He is still working on a catalog of Ruskin's library. Dr. Dearden is a Companion of the Guild of St. George, and the Guild's director for Ruskin studies.